Our 2016 report is no longer available for download. Please see our updated 2018 report instead. At the end of each year, the Future Today Institute (formerly Webbmedia Group Digital Strategy) applies our data-driven forecasting model to surface the most important emerging trends in technology for the year ahead. We’ve just published our annual Trend Report, and it features 81 notable trends and more than 100 companies and people to watch in 2016. What trends will matter most to you and your organization in 2016? Mapping the future for your organization begins with identifying early signposts as you look out on the horizon. In order to chart the best way forward, you must understand emerging trends: what they are, what they aren’t, and how they operate. Our 2016 Trend Report helps ensure that your organization is better positioned to understand changes and proactively plan for what’s past the horizon. You can use it to identify near-future business disruption and competitive threats while simultaneously finding new collaborators and partners. Most importantly, it should spark new ideas and opportunities to help your organization innovate and grow. 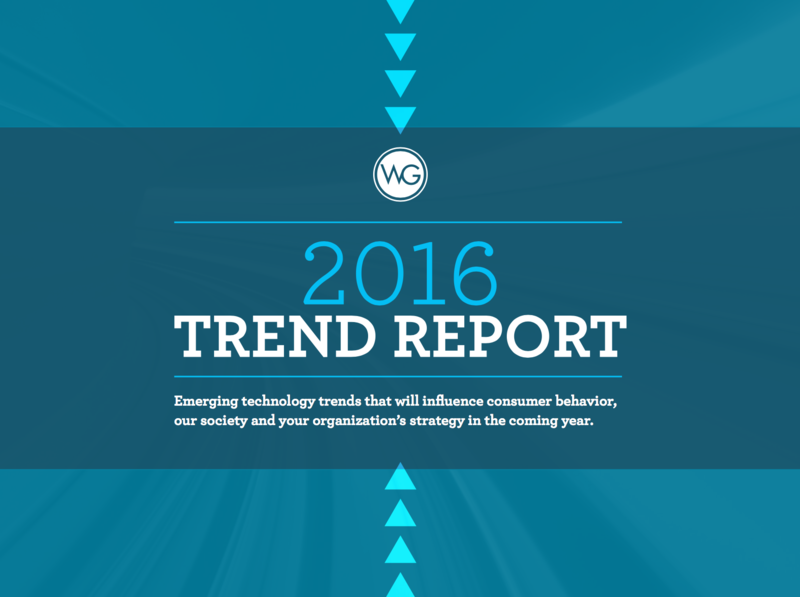 We recommend using our 2016 Trends Report as part of your organization’s ongoing strategic digital assessment and planning process. The Future Today Institute is a forecasting consultancy that advises numerous organizations on emerging trends in technology and digital media using a cross-disciplinary approach. We’ve advised hundreds of organizations all over the world. We’ve made our annual Trends Report publicly available for several years. It’s free, and it contains a lot of great insights. You’re welcome to quote from it, teach with it or to include sections in your own presentations. Just remember to give us attribution.